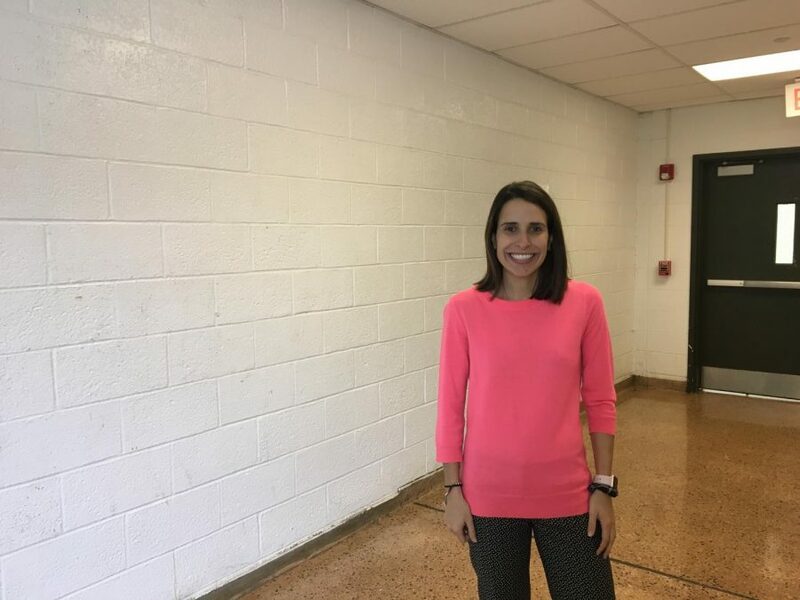 History teacher, Ms. Leah Jerome, was named Pascack Valley Teacher of the Year on Wednesday, Dec. 5 for the 2018-2019 school year. Students, faculty, and administration nominated a teacher and an educational services professional for the Governor’s Award for Outstanding Educator. Former Pascack Valley history teacher Ms. Karen Kosch recalls her first time seeing Ms. Leah Jerome, PV history teacher, teach her class. Kosch had mentored her and would meet with her once a week to go over her lesson plans. Jerome was named PV’s Teacher of the Year for the 2018-2019 school year on Wednesday, Dec. 5. Students, faculty, and administration had the opportunity to nominate a teacher and an educational services professional for the Governor’s Award for Outstanding Educator for the New Jersey Department of Education. Mrs. Danielle Macaluso was selected for PV’s educational specialist of the year. Jerome realized that she wanted to become a teacher after she had worked for a year in a different profession. She said that teaching had always been something she had thought about pursuing in the future from the positive academic influences throughout her life. Jerome said that she has always been interested in history, which her mother and father took note of at a young age. With her parents, Jerome would visit many historical places, such as Philadelphia and Plymouth Plantation. Now, she hosts a trip every year with Mr. Matthew Schulien, a teacher of business education, open to students during spring break. She also visits a Native American reservation in South Dakota with Ms. Marisa Mathias, a history and Religion in America teacher, and students over the summer. Her parents also encouraged her to read history books for book reports and watch documentaries. Mathias said that Jerome was a “perfect choice” for Teacher of the Year. Jerome serves as the club advisor for the Animal Rights League, One Spirit, and began the Asian Culture Club. She is also the class of 2021 advisor. Kosch believed that Jerome was going to be a “great teacher for our kids” the first time she met her. Jerome is grateful for the students who took the time to nominate her for this award. The following is Jerome being named Teacher of the Year by Pascack Valley Regional High School District Superintendent Erik Gunderson. This was contributed by Mr. Kenneth Sarajian, a PV history teacher. Below are videos of teachers and an administrator reacting to Jerome becoming Teacher of the Year.